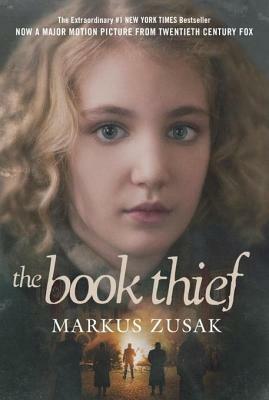 I avoided reading The Book Thief by Markus Zusak. Whenever it came up, all I heard was “…a book set in Nazi Germany…” and I tuned out. Like most of the world, I want to forget such times of pain and suffering. Choosing to believe in a world where people are kind and loving, I shy away from the tales of ugliness and heartless humanity. However, I also understand that to forget is a disservice to those who suffered, died and survived. They deserve to be remembered, and in remembering we have a greater chance to prevent such atrocities from happening again. My book group chose this book for our February discussion, so I dutifully picked it up at the library and commenced reading. It only took three days, and I enjoyed it. All of it. The suffering, the pain and ugliness was there, but it took second seat to the love that filled the main character’s lives. Liesel, Rudy, Hans, Rosa, Max. I knew what was coming, but Zusak allows you to feel the little joys, hopes and small acts of kindness that allowed people to continue living. A snowman in a basement, accordion music, silver eyes, a boy with yellow hair, and the power of words. Yes, my heart was broken in the end, but I shared something larger than myself, and hopefully came away with a small piece of the hard learned lessons of those dark years. Although tyranny can force you to behave in certain ways to prolong your life or that of your loved ones, there are ways to stay true to the moral fibers that burn in your soul. Small acts of kindness often mean the most. When death finally comes, will you be one of the souls that sit up and come lightly because “more of [you] has already found [its] way to other places”? The Book Thief gets an (PG-13) rating for content. The Star Ratings on this site are inversely based on amount of mature material found in the books. The less objectionable, the content, the more stars it earns. and checking out her very own books! I'm half way through this book, but I put it down and haven't picked it up for a while. I really want to finish before I watch the movie, but I'm struggling to connect with it.